John Campbell Students Have a &quot;Wheelie&quot; Good Time with Science! John Campbell Students Have a "Wheelie" Good Time with Science! John Campbell Primary students have had a “wheelie” good time as they enjoyed a visit from the Pacific Science Center and its Science on Wheels exhibition. As part of the event, students have enjoyed assemblies, exhibits, and interactive experiences where they have par ticipated in hands-on science learning activities. 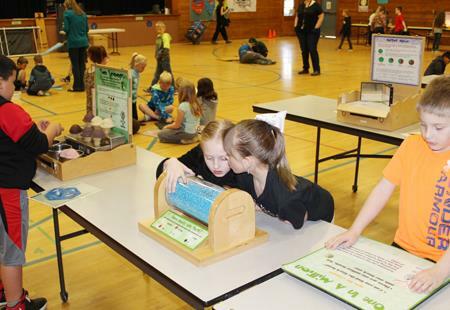 The Center’s Science on Wheels program travels across the Northwest, visiting schools and students. The experience includes portable exhibits that generate educational excitement for science, math and engineering learning, while supporting current academic standards, exploration and discovery. It’s easy to see why John Campbell students have had a “wheelie” good time with science!